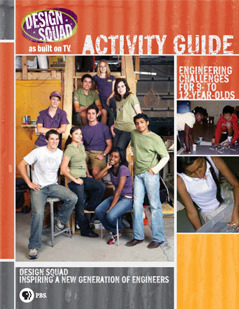 Find a collection of activities within each guide, or search for activities by topic in Resources. 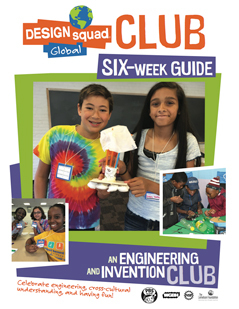 DESIGN SQUAD GLOBAL's club gives kids the chance to build fast airplanes, Earth-friendly sneakers, powerful wind turbines, and two bonus projects. 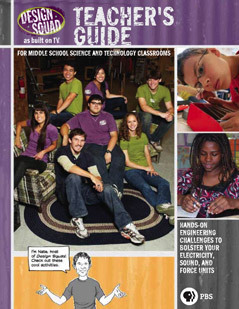 The guide supplies everything you need to run a 6-week sustainability-focused club. 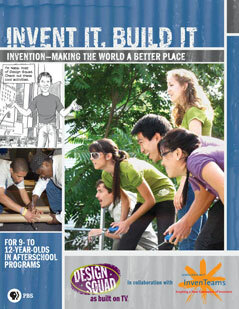 Ages 9 - 13. 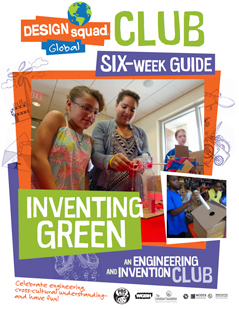 After building fast airplanes, Earth-friendly sneakers, and powerful wind turbines during the first six sessions, kids bring a sustainability mindset to finding their own solutions to problems in their community. 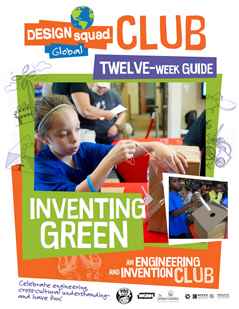 DESIGN SQUAD GLOBAL gives you everything you need to run a 12-week sustainability-focused club. Ages 9 - 13. 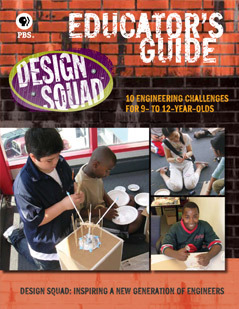 DESIGN SQUAD GLOBAL's original engineering and invention club gives kids the chance to build earthquake-resilient structures, a helping-hand tool, and other design projects. The club guide supplies everything you need to run a 6-week program. Ages 9 - 13. 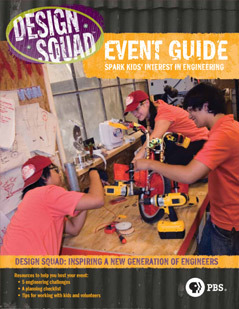 After building earthquake-resilient structures, a helping-hand tool, and other design projects during the first six sessions, kids put an engineering and invention mindset to work designing solutions to problems in their community. 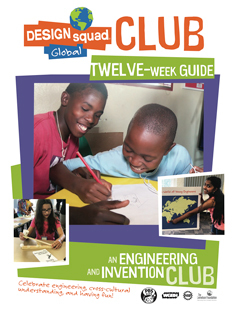 DESIGN SQUAD GLOBAL gives you everything you need to run a 12-week club. Ages 9 - 13. 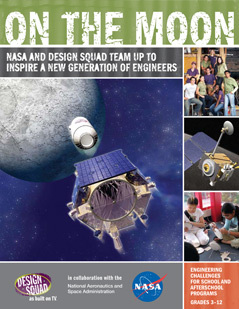 NASA and Design Squad Nation team up to inspire a new generation of engineers. 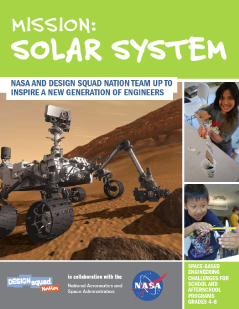 This guide has six space-based hands-on challenges for school and afterschool programs, grades 4-8. 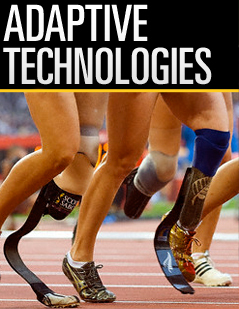 These media resources from MEDAL QUEST and DESIGN SQUAD help students explore how science, technology, engineering, and math support athletes with physical disabilities as they compete at elite levels.